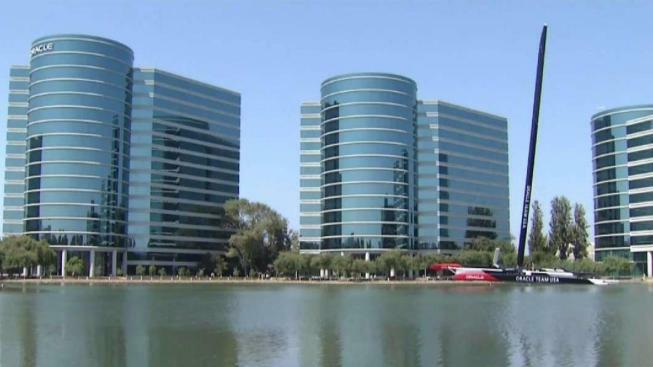 Oracle is building a first-of-its-kind 64,000 square-foot high school at its Redwood Shores headquarters. The public school will be aimed at educating many designers and techies of the future. Design Technology School will be tucked into the giant Oracle campus. The public charter school will soon house 550 students, some of whom designed the building. The unusual design features giant windows and patios overlooking nearby grasslands. The school's executive director said when they opened 150 spots the school instantly received 650 applications. Design Technology is scheduled to open in January.